Ottoman or Footstool: What’s the Difference? Are Ottomans and Footstools Different? When furnishing a house, a lot of terms get thrown around that can be confusing. Perhaps one of the most enduring mysteries is the difference between an ottoman and a footstool. In fact, these names are not interchangeable, as there are significant differences between the two. 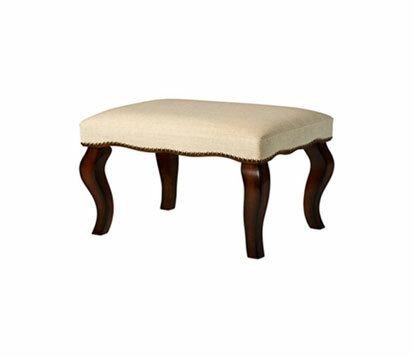 Footstools are typically made of wood, low to the ground, and primarily used as a foot rest while sitting in a chair. They may have some fabric or padding, but will never be described as plush. Because they are generally no more than 12 inches high, these pieces are not appropriate for seating. Overall, footstools are simple and utilitarian with more functional than decorative value. Sometimes a footstool might be kept by the hearth as something to kneel on when building a fire in the fireplace. They can also be left in the kitchen or laundry room to help with reaching items on high shelves. Ironically, ottomans are what most of us think of when we think of footstools. Ottomans are fully upholstered, well-padded, have legs, and sit high enough to double as additional seating. Legs may be exposed or hidden with skirting. These pieces can be rectangular, circular or square. Ultimately, the difference between an ottoman and a footstool lies in their style and function. Design Uses The upholstery of an ottoman can match an existing piece of furniture, offer a complementary pattern, or add a contrasting pop of color. In this way, the purpose of an ottoman becomes as much about design as it is about doing a specific job. Its relative size allows it to have visual impact without overpowering other elements in the room, making it the perfect accent piece. Versatility Ottomans are also more versatile than footstools. With the addition of magazines or a sturdy tray, they can double as cocktail tables or as side tables next to a chair. Some are even hollow inside with a hinged top for hideaway storage. Is an Ottoman or a Footstool Best for You? Given the differences between an ottoman and a footstool, it's likely that one will better meet your needs than the other. 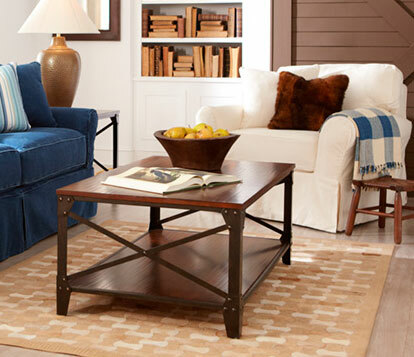 Decorators with small spaces might prefer a footstool. Because they are lower to the ground, these pieces are easy to simply slide under a coffee table or chair when not in use, freeing up plenty of room to move around. On the other hand, those who want their new purchase to make a style statement will probably prefer an ottoman. By nature of their size and intricate design features, these pieces are made to be looked at rather than hidden away. Styles range from classic and tufted to sleek and modern. To make sure you come home with the right piece, be sure to consider your available space and the role your new purchase needs to fulfill. Armed with this knowledge about the difference between furniture types, adding an ottoman or footstool can make your home an easier and more beautiful place to live.